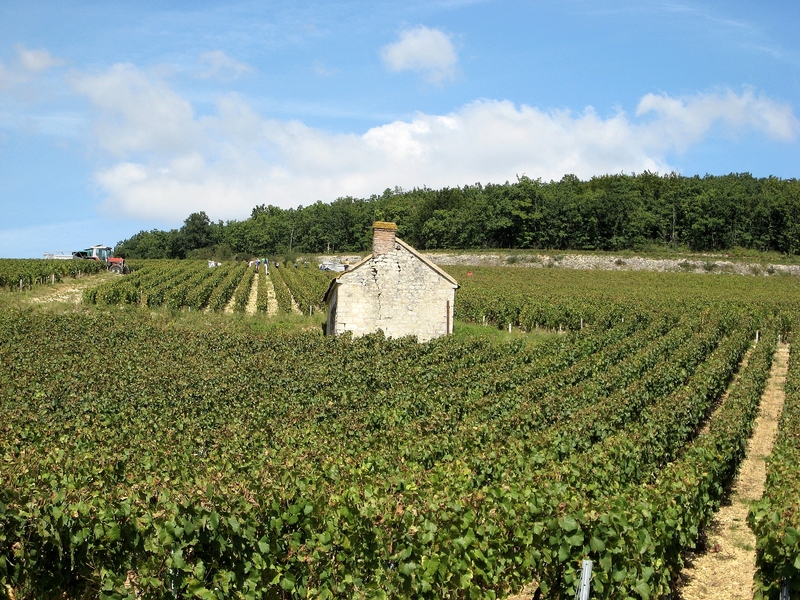 Terroir comes from the word terre “land”. It was originally a French term in wine, coffee and tea used to denote the special characteristics that the geography, geology and climate of a certain place bestowed upon particular varieties. Or so says some guy on Wikipedia. Terroir is one of those things the wine world tries desperately to claim as all their own. However, I’d argue that a more nuanced, progressive interpretation of the concept allows room for many other things. Even the Wikipedia entry hints at the possibility of terroir in things such as coffee or tea. I’d argue there’s terroir in everything, but for the purposes of this blog, I’ll focus on the terroir in craft beer and music. Honestly, I’m not really sure how wine can claim terroir and beer can’t. In fact, local agricultural and environmental factors may play a larger role in the character of a beer than wine since beer requires so many more ingredients. Sure, in modern production, wine more often than beer sticks to regional factors in creating flavor, but there are breweries who use only local products to produce their beverage that can’t be discounted. That said, the original concept was to divide regions by the flavor profiles they produced in wine. A newer, more global take on this idea may look at the characteristics of various locales on the same product. For example, a beer produced in Colorado might use hops from the Pacific Northwest, Belgain yeast, barley from Canada, and local water to create something that recalls all of these regions. Sure, to the traditionalist, this might not be a case of terroir. However, I’d argue that the unique characteristics of each ingredient combines to make something hard to duplicate. Maybe that doesn’t work for your understanding of terroir. What about the ability of humans to import all the ingredients of a region to create something that tastes and smells just as it would had it been brewed closer to its origin? In earlier discussions on this blog, I mentioned how engineering and brewing know-how can often allow a brewery to easily recreate an illusion of terroir with little regard to location. Lost in all of this is the idea that humans can be a part of terroir. Literally, terroir refers to the land. However, this has been generally understood to include the water, climate, and other local factors. So, why not the people? They too are influenced by local factors and bring cultural perspectives to craft that can be unique to a particular terroir. People have to be considered whether you have a strict understanding or terroir or not. At this point, I get that my interpretation may be too loose, too deconstructed, post-modern for your tastes, but I make similar arguments for many traditions and constructs beyond brewing (and music). For example, English is an evolving language that reinvents itself constantly, inventing new words, spellings, and conventions at every turn. The ideas or art, marriage, race, or the role of government are changing constantly. So, why can’t we adjust our idea of terroir to match the global times in which we live? Now that I’ve cleared that up, I’d like to move on to terroir in music. Terroir, IMO, manifests itself in two ways when it comes to popular music. First, there’s the scene. There was a reason all the major labels flocked to Seattle 20 years ago. They all wanted a piece of that grungy terroir. Second, bands take on the terroir of a place when they write and/or record in a particular place. Why else would bands opt to record in Memphis or Chicago? The music scene is an indie thing. Corporate leaches try as they may to capture the excitement of a thriving rock scene, but they’re often three or four years too late. Bands in scenes feed off each other, encourage one another, and often influence each other’s sound. There’s a reason most bands in Brooklyn sound like the Walkmen. Those aforementioned gunge bands all had a similar aesthetic even if they were decidedly different bands. I still get confused when I hear the opening bars to any Chicago band from just before the turn of the century. These scenes represent a very human, inorganically organic terroir like one can never find in wine. Eventually, bands look to capture a sound that’s influenced them or turned them on. Beirut is a perfect example of a “band” that takes the influences of the road with it. Whether it be Gypsy music, French pop, or Mexican mariachi, Beirut has adopted each of these sounds as its own. (Although, it sounds as if the new one breaks from this. Stay tuned.) Another example is when a band like Pavement (among many, many others from the era) headed down to Memphis to recorded at the venerable Easley Studios, providing a certain amount of smoked BBQ and southern comfort not usually attained in northern cities. Anything contains a certain amount of terroir. For me, terroir is a flavor or sound that can only be produced by the necessary ingredients from various locales. I don’t really care if it’s all from one location or whether it comes from all over. The end result is what matters. And within that beer or between the notes of a record, you can sense the regional influence. It’s that funk from Belgian yeast strands or the steel guitar from a month in Bluegrass country. Terroir is the undeniable piney character of a Northwestern hop or the grittiness of an album recorded in Manhattan. I prefer not to be held down by tradition. 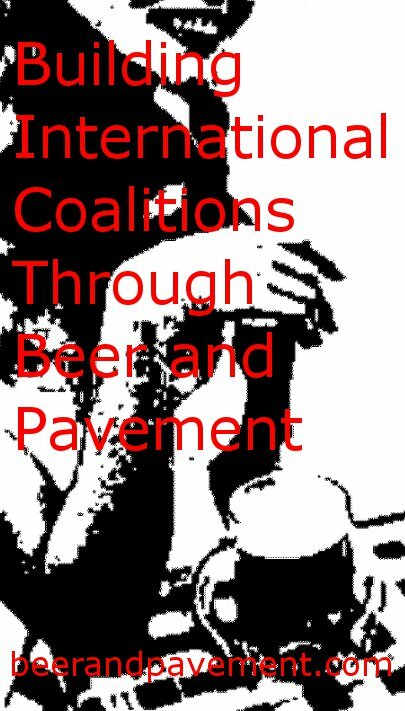 Building International Coalitions Through Beer and Pavement is about redefining the world to better grasp humanity and the enjoyment of such things as craft beer and indie rock. If this blog has a bit of terroir, that might be it. Now, you should add your terroir to the mix and give me your take. Have I bastardized a concept that should remain unchanged or have I challenged constructs that needed challenging. Or should I write about something else? Expect another top-5 on Monday. Cheers! One of the downsides to the concept of Terroir is that it can become a source of snobbery and exlcusionism. We have to make sure we never get to the “if you’re not from here, you can’t possibly be as good” mindset, whether in beverages or music. While there is undeniable geographic and cultural character that comes from certain times and places, that can also be adopted and replicated in a convincing way (in beer, think of Ommegang and Allagash’s Belgian styles, or the numerous “West Coast IPAs” now being produced on the East Coast; in music, the symbol of West Coast rap, Tupac, was from New York). Excellent points. I prefer to think of terroir as character contributed by location rather than a way to exclude or create a false sense of superiority. That’s why I like to challenge old ways of defining beer and music. Subverting the dominant paradigm and all that. I’m not sure whether I respectfully disagree with the expanded definition of “terroir” or if we’re actually in accord, but I do see where you’re coming from. Let me give you an example from my new home: New Mexico’s biggest source of pride, it seems, is its annual crop of Hatch chiles. The state put the chiles on their license plates; we even have an official state question: “Red or green?” about which chile sauce you prefer. The state has festivals extolling the virtues of the chile. I stumbled onto a chile party earlier this year that drew a crowd of several hundred fans (many in costume), a proclamation from the mayor, and a kickass mariachi band. But as much as New Mexico would like to think of the chile pepper is its “terroir” crop, you can grow genetically and gastronomically identical peppers anywhere with high altitude, lots of sun, and cool nights. New Mexico’s climate and geography make the annual chile crop possible, but the rational part of me knows that the chile only became a “terroir” crop because of its passionate fan base. We’ve had a bad drought this year, and the chile crop will be pretty meager. Additionally, foreign countries have been growing their own chiles and marketing them as New Mexico-grown. Both stories have dominated the headlines of newspapers, television stations, and public radio newscasts. The state has also been hit hard by the recession, with the highest poverty rate in the nation, one of the highest unemployment rates, and a state government only interested in cutting funding for any program that isn’t an oil subsidy. I get the idea that the residents of the state have pinned its hopes on a few farmers in the southern part of the state. If they can just pull through with a successful harvest, maybe they can turn the state’s fortunes around. The idea of “terroir” seems to be a social construct, but maybe it’s a helpful one. I think we’re in total agreement, especially with your final statement. Also, the clear difference between what I’m talking about and your example is that I describe a man-made product and you’re describing a crop. I think what Greg gets at above is what I’m trying to say. There’s a certain amount of exclusion that happens with terroir, but with beer and music, it shouldn’t be so exclusionary. Terroir should be, as you suggest, a helpful social construct. Between the lines of what I wrote, you’ll find that I value the terroir of a crop such as hops, grains, water, and even the chile pepper. What you bring up is valid and really just another piece to the puzzle. This blog has consistently stood against corporate tyranny and I stand with New Mexican chile farmers as well. Or something like that. I think we’re in partial agreement then. Where we disagree (and which I failed to explicitly say in the previous comment) is that I don’t think we can include man-made products in the idea of terroir. To wit: I’m reading a lot these days about how Brooklyn is somehow a magical place for authors due to the astonishing number of writers who’ve resided in the borough throughout history. And while it’s romantic to think that there’s some kind of well of ideas that’s somehow leaked its way into Brooklyn’s water supply, it’s clearly a case that the culture places value on literary pursuits. A high population density assures that they’ll have more writers (or teachers or firemen) per capita than other parts of the country and the (relatively) lower rent compared to Manhattan cements it that you’ll get more starving artist types congregating there. But it sounds like we’re in agreement on the grains and hops part, anyway. Solidarity! I think I was making the same argument in regards to culture without going into specifics. If population were the biggest factor, just about everything would claim some terroir in NYC. However, they are not great artisanal chocolate producers, for example. However, the New York writer is a unique creature. That’s a terroir I can’t really argue. That’s where I’ll have to pull the “apples and oranges” card, I’m afraid. Perhaps I only developed this affectation when I moved to the high desert where nothing, not even the usually prolific and apparently psychedelic jimson weed, grows without a little TLC, but I think we need a word that talks about the magic of something being of the land, and it’s just not as spellbinding and magical if it comes from 200 miles to the East. But why can’t terroir be influenced by culture? Terroir is as real as gravity, but we’ll set that aside. You can’t analyze terroir, without acknowledging commercial implications. If I call my american-brewed beer “Belgian this” or “Belgian that”, I am clearly using/abusing a widely accepted value-added status to my commercial and financial advantage. After all, why didn’t Blue Moon call it self “American White”? So, maybe terroir is really more a marketing ploy than anything else? Sure, it’s real, but what is the purpose? As Mike suggests, it’s a useful construct. One, the traditional one, means things you can only get from a specific place (nutrients in the soil, combination of weather patterns, etc.). That’s mostly in wine and cigars and foods where actual tastes can not – supposedly – be replicated. The second is the one Zac is trying to carve out, a traditional culture that adds a character to a product. That’s more ethereal, so it’s easier to use that for commercial gain without actually respecting or following any of the traditions. I would actually disagree with Patrice about Blue Moon, since “Belgian White” is a style and denotes location no more than “New York Strip” means the cow came from Poughkeepsie, but certainly some breweries call beers “Belgian” in style when they really just mean they used a different yeast. Those beers are no more Belgian than the Budweiser Clydesdales are Czech. I think in the end I can agree with that dichotomy. It seems language often develops as meanings change, but understanding the original meaning helps inform new meanings. That said, certainly, beers can also have terrior, but this might be harder to produce than wine which is basically one ingredient (yeast grows on the grapes, no?. I think any of the beers produced that utilize hops, barley, water, and yeast from a single region have to contain some sort of terroir. I think the fact that Wine only has two main ingredients (grapes and yeast) and that at least one is grown on the premises is the primary difference. Because that’s the case, a winery can claim that their wine is all about terroir because their biggest ingredient is grown right there. They can’t import grapes from somewhere else and make the same wine… But for the most part, you can’t change a beer recipe to use the same ingredients grown in different places and expect the same results either. Because the ingredients themselves are more subject to terroir than the end result, perhaps? I’m not an expert, but hops are definitely dependent on terroir. There are only certain climates that can really support certain hops, and so on. I’m also pretty sure that if you were to take American hops and plant them in Europe, you would get a different character out of them. Perhaps not a drastic one, but maybe differences in alpha acids and flavor intensity and so on. Indeed, that happens even now when growing on the same area year to year. There are probably similar characteristics for malted barley, but barley seems like it’s always grown somewhere separate than the brewery. That’s one thing that’s very different about Wine, which almost always has the grapes on the premises. Right? Are there wineries that import grapes from Europe? Water is interesting because you can spike your local water with minerals to give it a different character (there are ways to kinda/sorta replicate the famous Burton water). I’m not sure, do they add water to wine? Yeast is an interesting one too. I believe the Wine yeast that’s actually contained in the grape skin is inconsistent, so “pure” strains are used. I get the impression that there is less variability in wine yeast than there is in beer yeast, but I’m not sure about that. They can’t import grapes from somewhere else? Why not? What about blended wines? Breweries move ingredients all the time. What about the many cases of breweries moving off-site to continue operations elsewhere while remodeling projects take place? It does seem that true terroir is limited to the individual ingredients and wine is best suited for the traditional definition. However, I wonder if a product, like beer, could have multiple terroirs. Is that even possible? I think it is and that it better reflects our current global society. Comparing beer and cattle is not an effective premise. The comparison is between terms that contain geographic words but that no longer refer specifically to origin. If you saw a “premise” that cattle and beer are somehow the same… I apologize for being unclear. You asked rhetorically “why didn’t Blue Moon call it self “American White”? My point was, while use of “Belgian” might give the beer some cachet to non-beer drinkers, the style of “Belgian White” is just an accepted style name at this point, and is perfectly appropriate. There is a larger issue of labeling. In general, wine has fairly strict rules in place to guard against appropriating Terroir-conveying terms. Beer has basically no such rules. Should it? I don’t think it should, but I also think the wine industry’s obsession with naming rights is silly. Look on the label to see where it’s produced. Who would question the “wrongness” of marketing hamburger grades as Consider Angus or Kobi beef? These aren’t examples of terroir, correct? I’m pretty certain I can get Kobi beef produced right here in Missouri. Kobe beef is a registered trademark and requires certain arbitrary conditions to be met in order to qualify as Kobe. The beef you get from Missouri is probably Wagyu beef, which is created through similar techniques (i.e. feeding cattle beer!) They’re fed with different types of grain, but my guess is that the differences between Kobe and Wagyu beef are trivial. I totally agree that this isn’t an example of terroir. re: Beer has basically no such rules. Should it? Is “official” terroir simply a registered trademark, granted to fermenters from authentic locales? If that is the case, the Union of Belgian Brewers already controls the trademark + terroir for “Belgian Beer”. Does anyone really believe Blue Moon could have have cracked the top 15x beers (in the US market) with no implied Belgian terroir? I am a freelance headline writer. This post should be called: “Terroir Twilight”. I’ll email you an invoice. Damn it! Of course a professional would show me up.